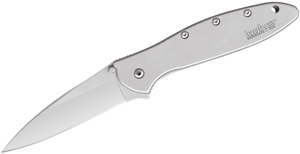 The Emerson Commander is one of the most popular combat folders of all time. It popularized the “wave” opening feature which is perfect in its simplicity. There is a hook on top of the blade that will catch on the edge of your pocket as you pull the knife out and open it on the way. It takes a little practice- but not much! This new super size model is just what some of our combat troop customers and outdoorsmen want. SOG got its start making great combat fixed blades. 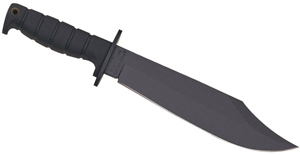 They recreated the classic Viet Nam combat bowies and then the SOG SEAL Knives and many more. These Agency Fixed Blades are in the same gene pool as those others being really well made and useful in the field. SOG is the combat fixed blade pro. Still another permutation of the great Shallot assisted opener from Kershaw Knives! This one has the new CPMS110V stainless steel. It’s the first production knife featuring this steel and we are excited to offer them. Crucible Materials Corporation has been perfecting steel for knives for some time and this is the latest and greatest. They are limited in production, so don’t snooze too long! We’ve been waiting for Boker to release these great tools for many months now. Wilson tactical have been selling the high priced models for years and these will put this great design within the reach of police officers and handymen of all income levels. 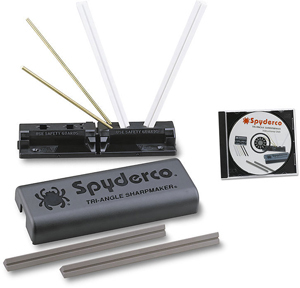 They are really well made- as are all the BokerPlus products and really handy to carry around. Hand made knives made in the American West tradition. We liked this series as soon as we saw them. They’re made in Asia, but they are done right. The blades are hand ground and may are limited in production. The Coffin Bowie is amazing in polished stainless steel and still for sale at $74.95! The Small Indian Knife is a great deal at $65.95 and has a crude, hand ground blade of 1095 carbon steel and beautiful beaded sheath. They really have a hand made feel and look. The beaded sheaths are all unique and so a particular design cannot be ordered. Benchmade Tactical Pens in Colors! Benchmade tactical pens are great. They use the Fisher pen refills and so write really smoothly and even upside down and the refills are easy to get. They have just released some great colored models and we have them in stock. Take a look!